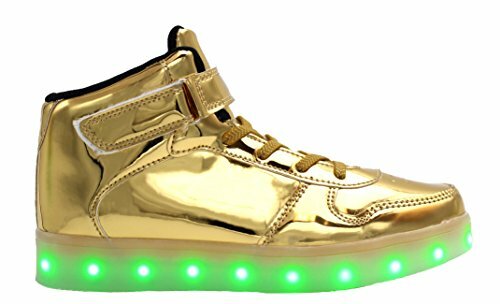 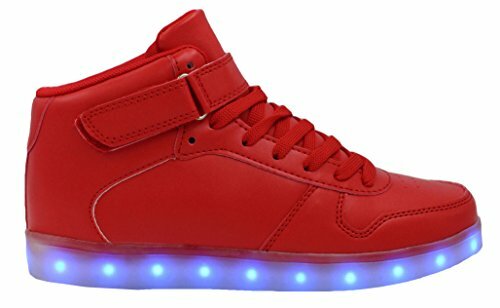 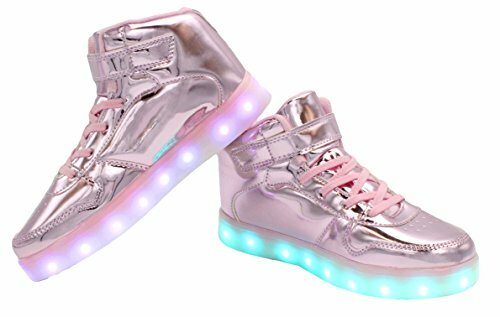 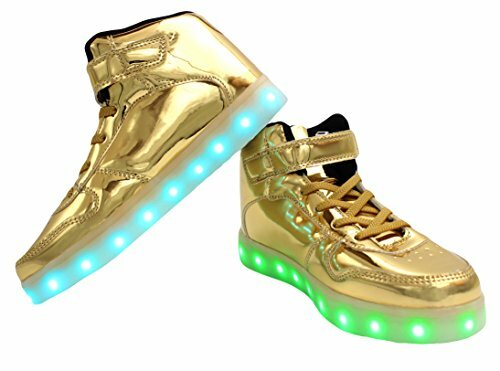 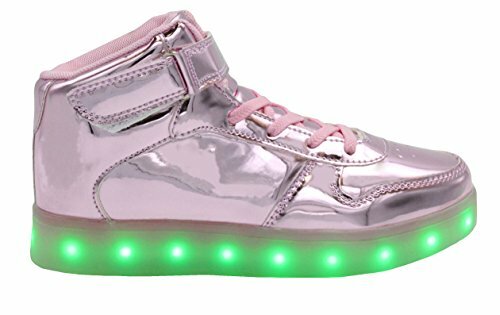 These Kids Boy and Girl’s High Top White LED Sneakers Light Up Flashing Shoes are so smashingly gorgeous! 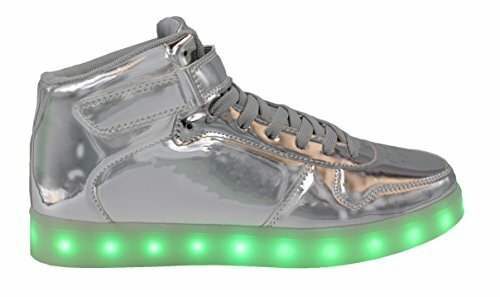 It’s with a clean and simple style but sparkles glamorously during the night! 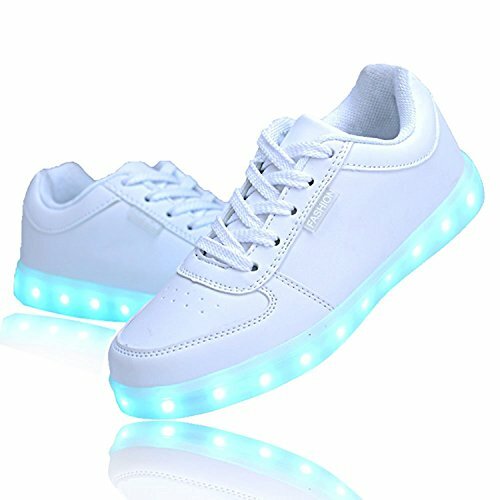 These shoes consist of good quality cotton with an inward support that maintains sweat-free feet and will keep you dry all day. 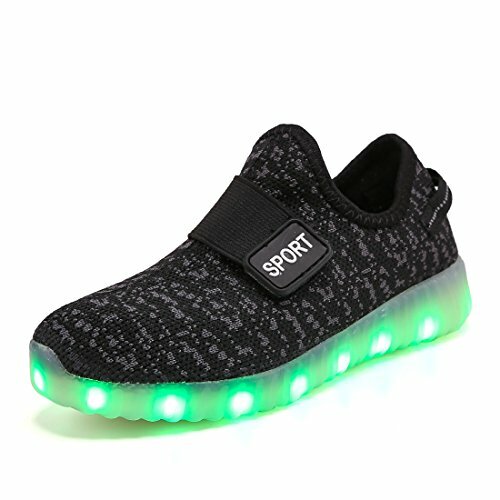 These kinds of fashionable shoes are designed for your comfort. 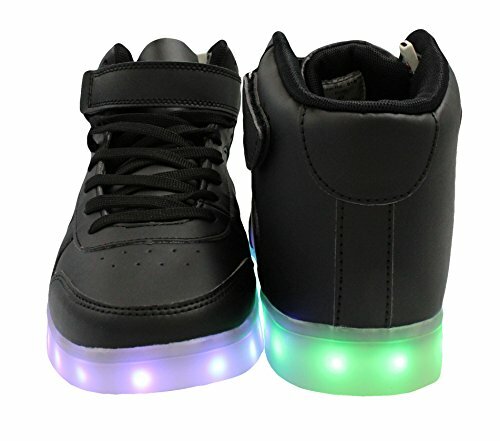 They have a smooth synthetic texture with an elastic bottom to make your feet more comfortable. 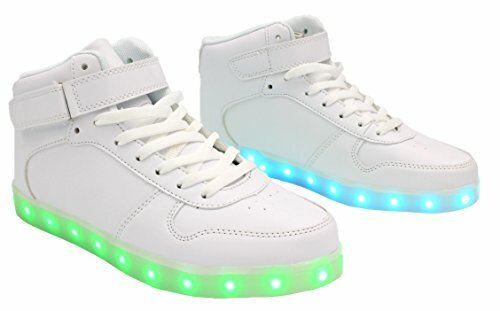 This is a good quality pair of sneakers for boys and girls! 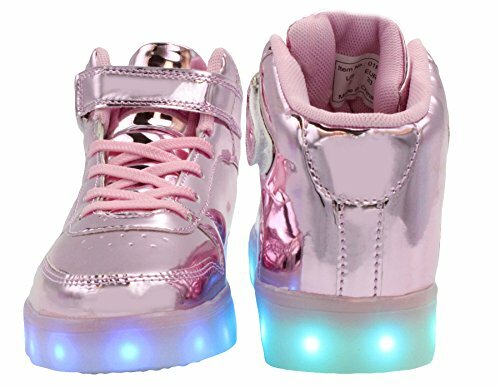 The Kids Boy and Girl’s High Top White LED Sneakers Light Up Flashing Shoes are ideal for any sorts of the season such as spring, summer, and winter. 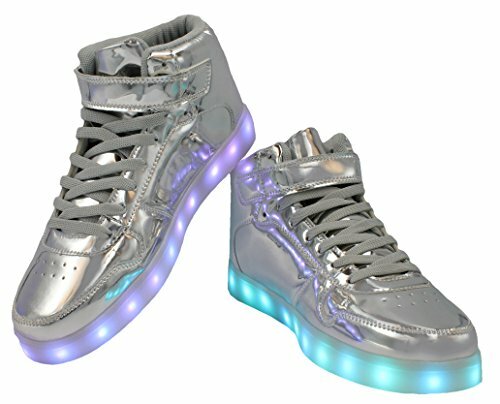 They are also ideal for Valentine’s Day, Easter, Children’s Day, Halloween, Thanksgiving Day, Christmas and birthdays! 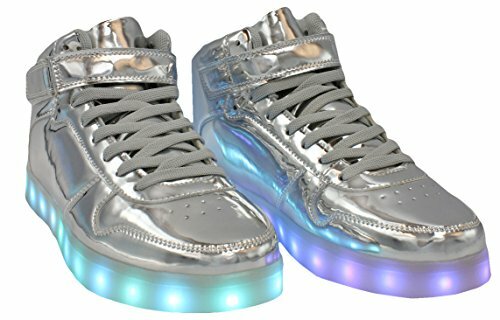 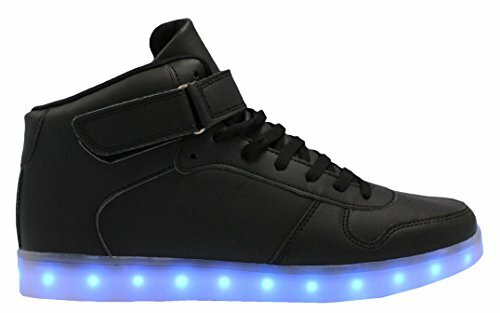 These fashionable sneakers with LED light are extremely cool enough to capture anyone’s eyes. 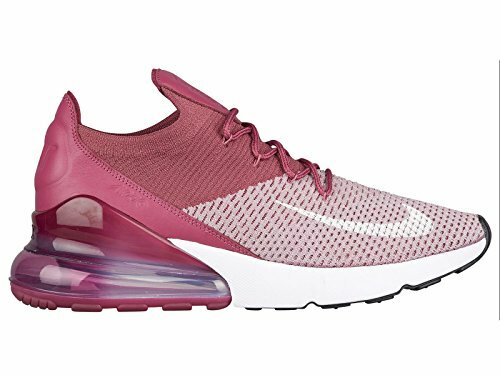 There are lots of sizes and color variations that serve as options to drive everyone’s attention. 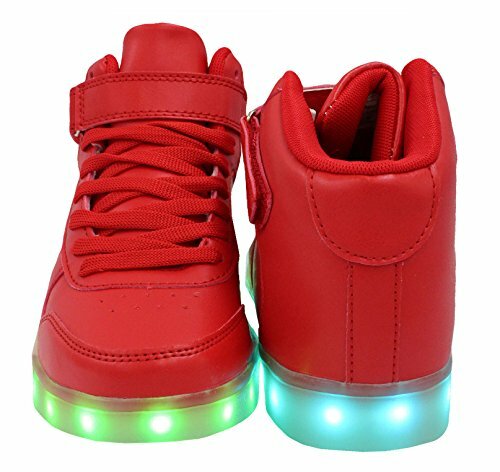 The switch is concealed inside the shoes and is near the USB port. 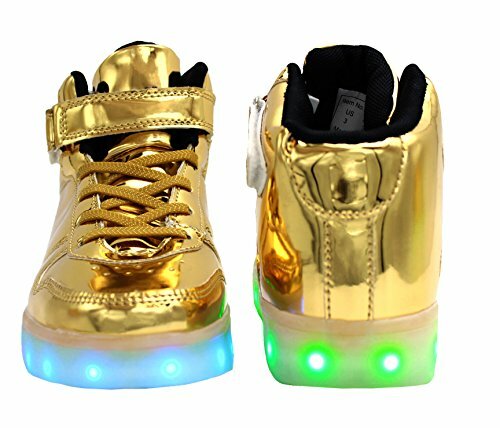 You can press it to put one color on the shoe or if you need some glimmering. 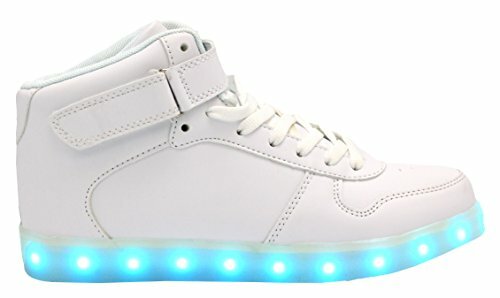 While charging, the light will, therefore, turn off until the point that charging is done. 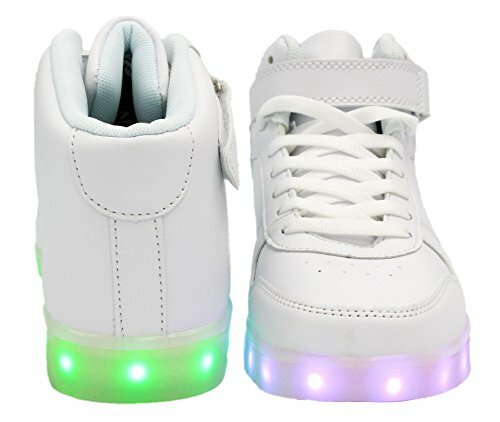 It can be charged like your phone with the joined USB cable. 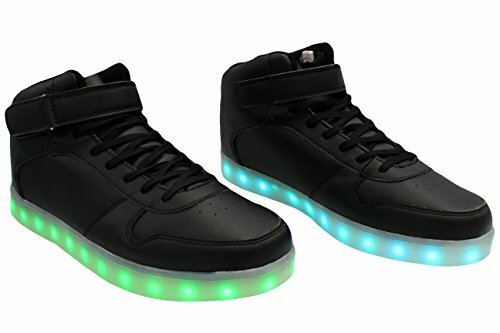 Switch on the shoes when you get them and light up until there is no more power. 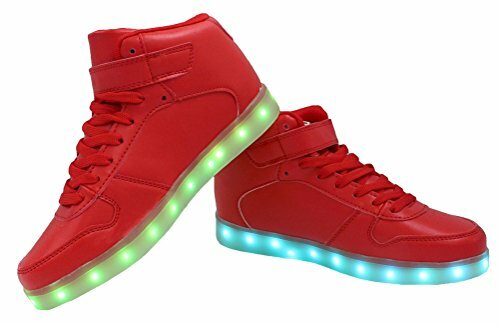 After that, charge the shoes for 3 hours, which can offer 8 to 11 hours of lighting time. 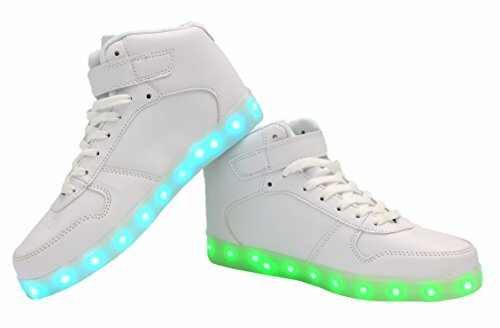 Do not to put the shoes into water; you can use a soft cloth to clean them. 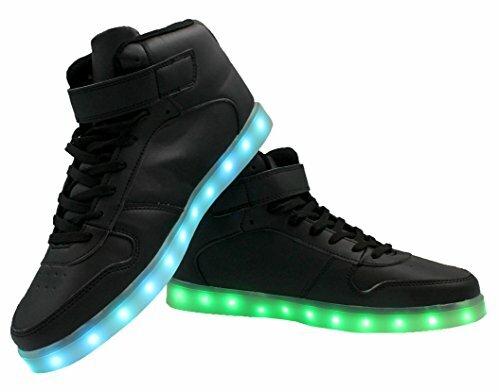 Shoes contain a cable, yet no chargers; you should use your versatile charger or USB port to charge the shoes. 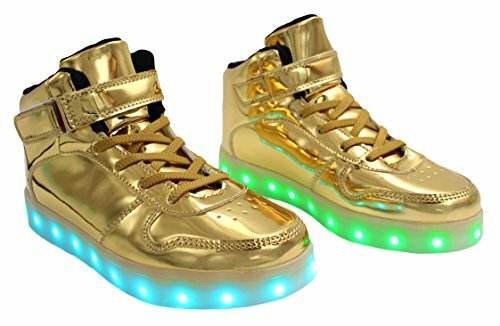 Please don’t use them as running shoes. 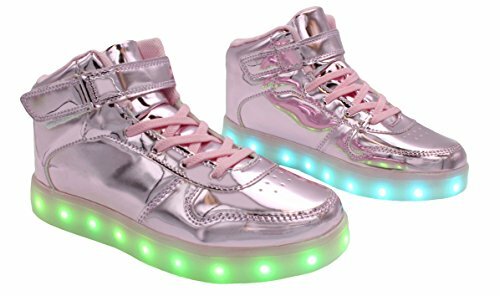 The shoes are for walking and strolling. 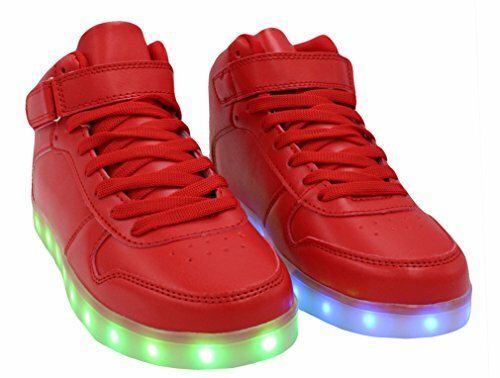 Also, don’t wear them when running or doing different activities so that the lighting system will not get damaged. 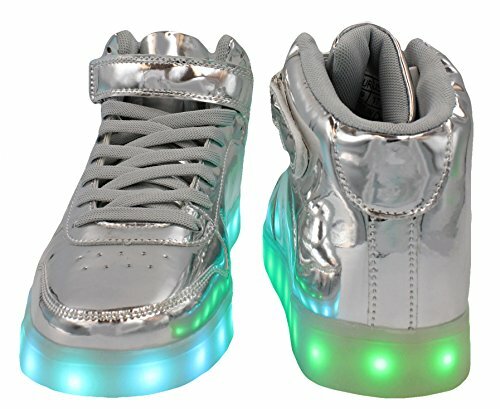 Wear it now and shine!